Create a zone archive and use the archive to create an s10zone on the Oracle Solaris 11 system. See Transitioning an Oracle Solaris 10 Instance to an Oracle Solaris 11 System. Detach the zone from the Oracle Solaris 10 system and attach the zone on the Oracle Solaris 11 zone. The zone is halted and detached from its current host. The zonepath is moved to the target host, where it is attached. See About Detaching and Attaching the solaris10 Zone in Oracle Solaris Administration: Oracle Solaris Zones, Oracle Solaris 10 Zones, and Resource Management. The zonep2vchk tool identifies issues that could affect the migration, and creates zone configuration output for the target zone. Oracle Solaris 11 installation support – You can specify the configuration and installation of non-global zones as part of an AI client installation. Non-global zones are installed and configured on the first reboot after the global zone is installed. 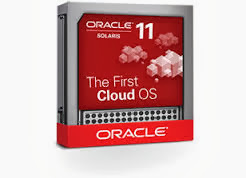 See Chapter 12, Installing and Configuring Zones, in Installing Oracle Solaris 11 Systems. Whole root zones only – Oracle Solaris Zones are whole-root type only, but you can configure your zones in a more flexible way, such as when disk space is limited or if you prefer a read-only zone root configuration. By default, zone boot environments are compressed. Exclusive IP zones by default – Exclusive-IP zones enable you to assign a separate IP stack per zone. Each zone has the flexibility to configure IP within that stack completely separate to other zones. Administrators can easily observe network traffic, per zone, and apply individual network resources. However, in previous versions of Oracle Solaris this was dependent on the number of physical NICs an administrator had per system. The addition of network virtualization provides administrators enhanced flexibility with regard to managing zones, without the restrictions of physical network hardware. Newly created zones in Oracle Solaris 11 will be exclusive-IP zones with a VNIC, net0, whose underlying lower link is automatically selected at boot time. See Chapter 10, Managing Oracle Solaris Releases in a Virtual Environment. Network virtualization for zones – Oracle Solaris 11 network virtualization features can be applied to a zone by creating a virtual NIC (VNIC) for the zone and applying bandwidth limits and traffic flows to the zone's assigned VNIC. The VNIC is created when the zone boots and deleted when the zone halts, and will be created within the non-global zone's datalink namespace. This feature allows you to provision a zone without having to learn the details of network configuration and topology. If you want to assign a preexisting datalink to an exclusive-IP zone, you can still do so during the zone configuration. For example, create a virtual NIC, limit the SPEED of the VNIC, create an address for it, and then assign it to zone. The ip-type=exclusive value means that you are dedicating a datalink, which can be a virtual (VNIC) for exclusive use by the zone. This strategy brings some of the network stack management benefits to the zone. Historically, this hasn't been practical if a system has many zones, but only a maximum of 4 network interfaces. Exclusive IP is now the recommended ip-type for zones. The set physical value identifies the system's network interface cards that is assigned to the zone. Using an ip-type of exclusive allows the zone to manage its IP stack directly. If ip-type=shared was identified in the above example, you would have to specify an IP address and other resources. NFS server support in non-global zones – You can share file systems in a non-global zones by using the NFS protocol. The SMB (CIFS) sharing protocol is not currently available in a non-global zone. Zone monitoring – System resources that are consumed by non-global zones can be monitored by using the zonestat command. Prepare for migrating a Oracle Solaris 10 OS instance or zone to your Oracle Solaris 11 system. Confirm that your Oracle Solaris 10 instance or zone is running the Oracle Solaris 10 9/10 release, which is the minimum OS requirement. Copy the Oracle Solaris 11 /usr/sbin/zonep2vchk script to any location within the Oracle Solaris 10 system. Run this script to determine if any issues would prevent the Oracle Solaris 10 zone or instance from running successfully on a Oracle Solaris 11 system. Keep in mind that this script is only for system migration purposes. Enable the Oracle Solaris 10 package and patch tools. To use the Oracle Solaris 10 package and patch tools in your Oracle Solaris 10 zones, install the following patches on your source Oracle Solaris 10 system before the image is created. The physical to virtual (P2V) process works without the patches, but the package and patch tools do not work properly within the Oracle Solaris 10 zones. You can transition your Oracle Solaris 10 environment to a non-global zone on an Oracle Solaris 11 system by creating a zone archive and migrating the zone archive to an Oracle Solaris 11 system. The following steps describe this process. Copy the zonep2vchk script from your Oracle Solaris 11 system to the Oracle Solaris 10 instance or system to identify any issues that might prevent the instance from running as a solaris10 zone. Create a ZFS file system that will contain the flash archive of the Oracle Solaris 10 system instance, if necessary. Select an Oracle Solaris 10 instance, which could be a virtual environment or a global zone on a Solaris 10 system. Note the Oracle Solaris 10 system's hostid. Create an archive of the Oracle Solaris 10 instance that you would like to migrate to a non-global zone on the Oracle Solaris 11 system. Create a ZFS file system for the Oracle Solaris 10 zone. Create the non-global zone for the Oracle Solaris 10 instance. 27.Use 'create' to begin configuring a new zone. Install the Oracle Solaris 10 non-global zone. 39.A ZFS file system has been created for this zone. Boot the Oracle Solaris 10 zone. Configure the Oracle Solaris 10 non-global zone. 59. Copyright (c) 1983, 2011, Oracle and/or its affiliates. All rights reserved.